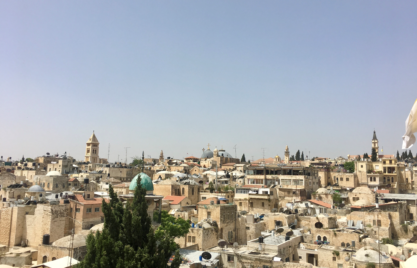 New project kicked off: GIZ and Sanad Fund will support the PMA in enhancing its consumer relations halls – an important and unique access point for Palestinian financial consumers to receive advice and information about their rights. With the aim of strengthening consumer protection and financial literacy in Palestine, the Palestine Monetary Authority (PMA), GIZ and the SANAD Fund for MSME’s Technical Assistance Facility agreed on a joint project supporting the PMA’s consumer relations halls today. With the presence of the Governor of the PMA, Mr. Azzam Shawwa, the German Representative Mr. Peter Beerwerth, and from Finance in Motion, Manager of the SANAD Fund’s Technical Assistance Facility, Mr. Jacob Ole Nestingen, the institutions met on 15th of May 2017 in Jericho to kick off this new initiative by signing a Memorandum of Understanding. 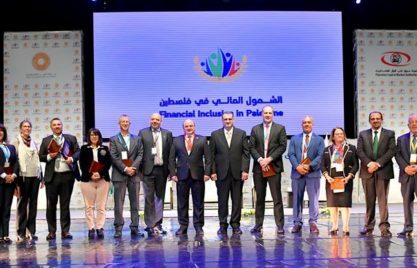 The Governor of the PMA, Mr. Azzam Shawwa, expressed the importance of the project for the PMA and financial consumers in Palestine. His Excellency thanked the Federal Republic of Germany, GIZ and Sanad TAF for their cooperation and support to enhance the strategy of financial inclusion, pointing out that Germany is one of the biggest supporters and donors to the Palestinian people.